Apple has announced its Apple News Plus subscription service for lovers of print magazines and newspapers. It launched on Monday 25 March at its event, and is showcased as an extension to the already very successful Apple News, which is already one of the top news apps in the world. 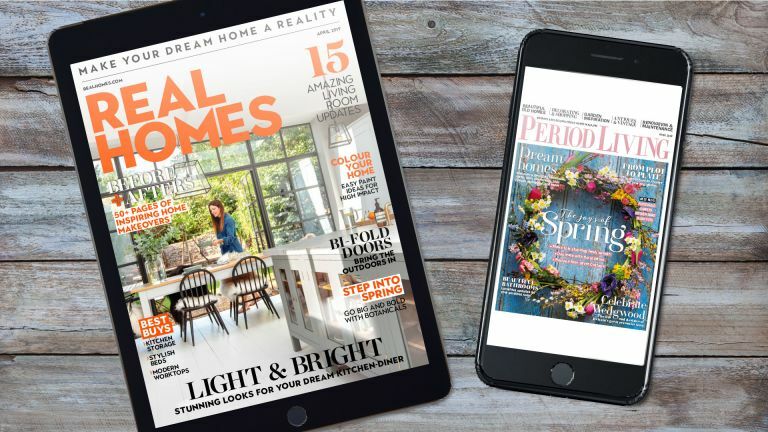 Subscribers to the new service will be able to access more than 300 of their favourite magazines, including our very own Real Homes and Period Living back issues dating from September 2018. Great news if you’re one of our readers from across the pond. Apple News Plus has already been launched in the US and Canada, so you can start reading digitally today. Apple News Plus isn't available in the UK just yet, but is set to launch here (and in Australia) later this year. In the meantime, you can make sure your software is up-to-date and ready to run the app. If you want to access it on your iPhone or iPad, you’ll need to make sure your News app is up-to-date and also ensure you have the latest iOS 12.2 software installed. If you’ll be wanting to read on your Mac, make sure you have the latest macOS 10.14.4. You won’t be paying for each individual magazine or newspaper you want to read, it will be an all-you-can-read experience. It’s been launched in the US and Canada at $9.99 per month, with a free 30-day trial to kickstart your subscription. Apple is also allowing subscribers to share one subscription across your Family Sharing group (up to six people), meaning everyone in your house will be able to access their favourite content with a single subscription. The content you used to get on the standard News app will remain free. The Plus content, which will be the magazines and leading newspapers, is what you’ll pay for. As well as the magazine’s written content, that will be optimised for whichever device you’re reading on, you may also find ‘Live Covers’, animated to grab the attention. Apple News Plus will also personalise what content is suggested for you based on your reading habits. Apple insists that there will be no misuse of data, and that privacy is key. And what if you are already subscribed to the featured magazines? If you are subscribed to a magazine that has set up authentication in Apple News, you will be able to access that title using the same account that you use for their website. And, if you made an in-app purchase on another iOS app you will be given access automatically.